Though many try, there are few artists who successfully traverse countless genres —particularly on a single album — with the ease and confidence that bassist and singer Meshell Ndegeocello does on her 11th studio release, Comet, Come to Me. Ndegeocello shared with Exclaim! that the making of CCTM was a particular joy, and that pleasurable backdrop pervades the entire album. 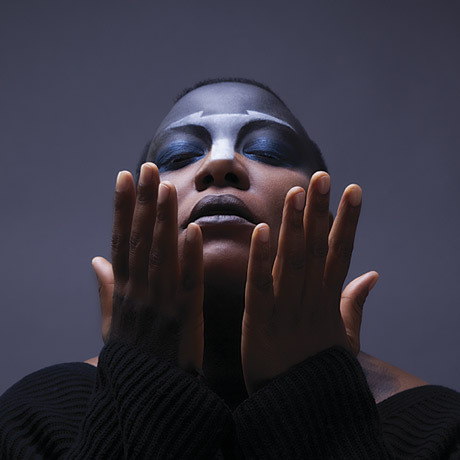 Gracefully shifting from her eerie funk rendition of Whodini's "Friends" to the punkish "Continuous Performance" and the island rhythms of "Forget My Name," Ndegeocello's smoky melodious voice — as spectacular and seductive as ever — draws its eclectic influences together into a cohesive sound. Standout tracks include the breezy "Shopping for Jazz," friendship break-up song "Conviction," "Choices" and the striking "Folie a Deux." There is a timeless quality to Ndegeocello's sound and style that continues to rise and expand. Comet, Come to Me joins her acclaimed body of work, which, as a whole, will continue to sound fresh and relevant years from now.